October 13th-14th, 2017 in Europe. 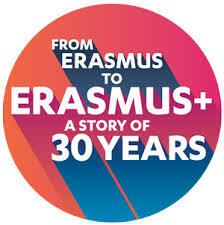 Join the celebration of the 30th anniversary of the most popolar exchange programme in Europe! To celebrate properly this special event in 2017, all participants, past and present, to get involved in celebrating what the programmes have meant for them, and the impact on their life, are inviting to be part of the events organized on 13th and 14th October 2017.